Coal is still king in much of Appalachia, yet the heritage and history of the people who enabled the United States to become an economic superpower in the Industrial age are slipping away. 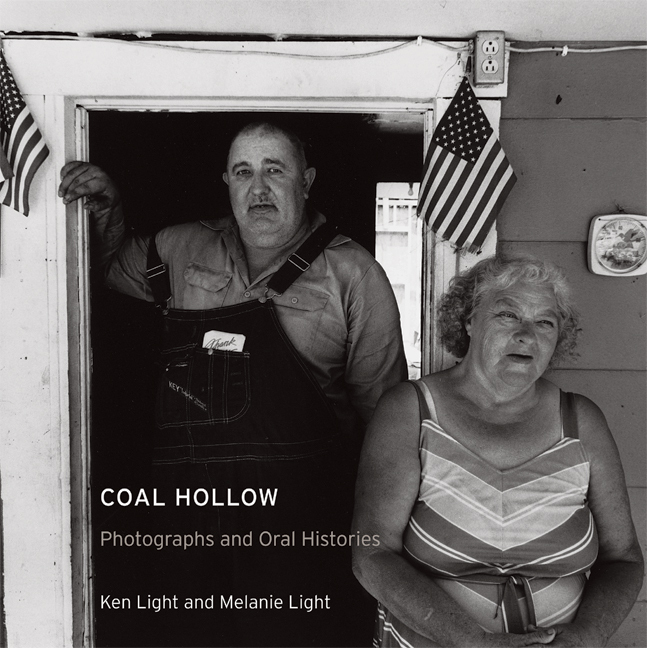 This remarkable book presents arresting black and white photographs and powerful oral histories that chronicle the legacy of coalmining in southern West Virginia. Ken and Melanie Light traveled hundreds of miles through rugged, isolated terrain recording the stories of a range of people whose lives were shaped by coal: retired miners, men and women who have been jobless their entire lives, a contemporary coal baron, a justice of the State Supreme Court of West Virginia, a writer who bravely ran for governor on a third party ticket, and people who returned to the hills when their lives failed elsewhere. What emerges is a complex portrait of people locked into an intricate web of geography, history, and unfettered profiteering. In Light’s poignant images and in their own distinctive voices the residents of Coal Hollow—a fictional composite of the communities the Lights surveyed—reveal how the intersection of mountain culture and the greed of the coal companies produced the most powerful economy in the world yet brought crushing poverty to a region of once-proud people. Ken Light, a social documentary photographer, is Adjunct Professor and Director of the Center for Photography, Graduate School of Journalism, at the University of California, Berkeley. Among his books are Witness in Our Time: Working Lives of Documentary Photographers (2000), Texas Death Row (1997), and Delta Time (1995). Melanie Light is a writer and Executive Director of Fotovision.org.